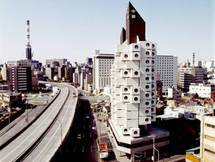 Kisho Kurokawa (黒川 紀章 ,Kurokawa Kishō) (April 8th, 1934 – October 12th, 2007) was a leading Japanese architect and one of the founders of the Metabolist Movement. Born in Kanie, Aichi, Kurokawa studied architecture at Kyoto University, graduating with a bachelor's degree in 1957. He then attended University of Tokyo, where he studied under Kenzo Tange. 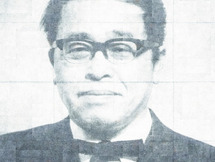 Kurokawa received a master's degree in 1959. Kurokawa then went on to study for a doctorate of philosophy, but subsequently dropped out in 1964. Kurokawa co-founded the Metabolist Movement in 1960. The Metabolists became known as a radical Japanese avant-garde movement pursuing the merging and recycling of architecture styles within an Asian context. The movement was very successful, peaking when its members received praise for the Takara Cotillion Beautillion at the Osaka World Expo 1970. The group was dismantled shortly thereafter. 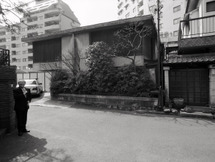 Kurokawa was the founder and president of Kisho Kurokawa Architect & Associates, established in 1962. The enterprise's head office is in Tokyo with branch offices in Osaka, Nagoya, Astana, Kuala Lumpur, Beijing and Los Angeles.